From hard-core shooters to amazingly fun casual games, thousands of quality Mac games are available for purchase and download. Explore the latest demos, dive into the best sellers, or check out the newest indie gems. Ever purchase a game but only later learn it's not compatible with your Mac? 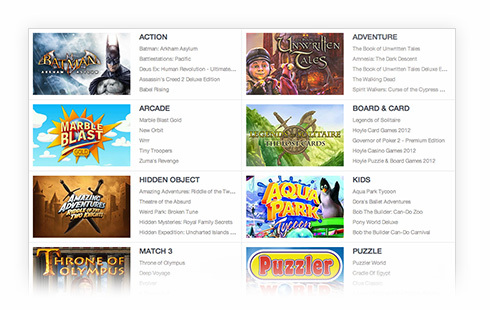 The MacGameStore app's built-in Compatibility Checker compares your Mac to the game's system requirements in real-time. Don't waste your money on games that won't work on your Mac. 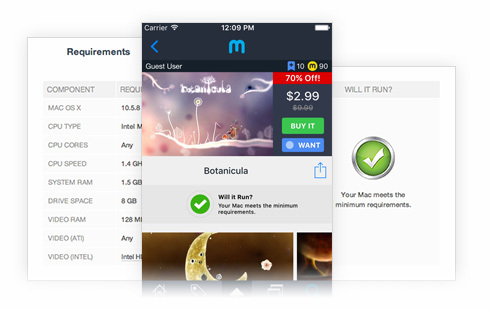 Purchase and download games wihout the hassle of DMG's. 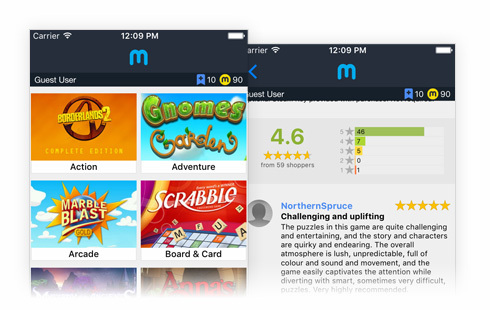 Keep games up-to-date with automatic game updates. Finished a game? Delete it and send it back to the cloud. Download it again from the cloud any time you want. 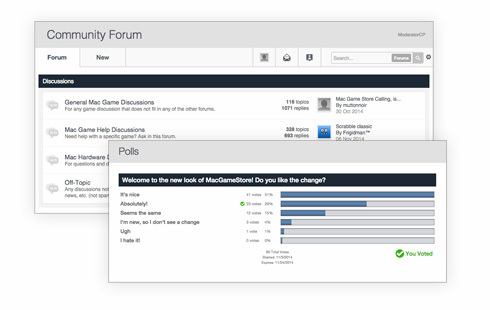 Chat with fellow Mac gamers, ask questions in the lively forum, and partake in cool polls. Got a great idea? 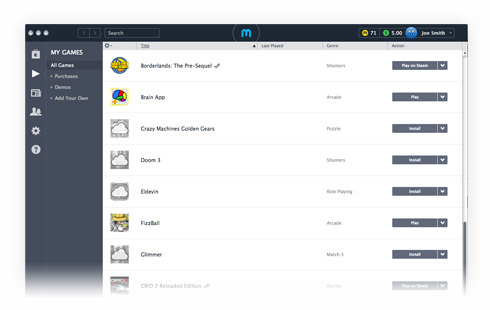 Suggest your own ideas to MacGameStore with the suggestion box. From hard-core shooters to amazingly fun casual games, thousands of quality Mac games are available for purchase. 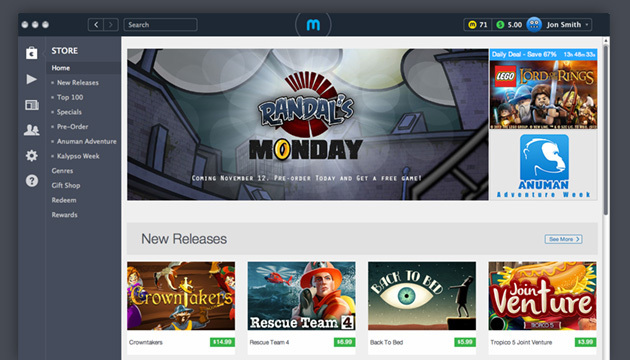 Explore the latest games, dive into the best sellers, or check out some casual gems. Ever purchase a game but only later learn it's not compatible with your Mac? 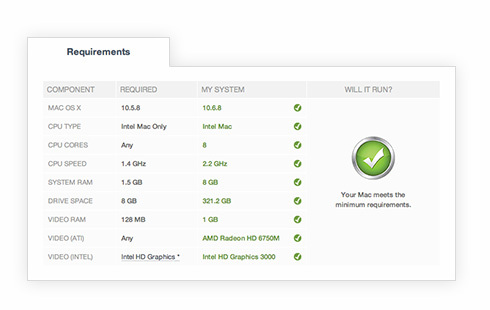 The MacGameStore app's built-in Compatibility Checker compares your Mac to the game's system requirements. 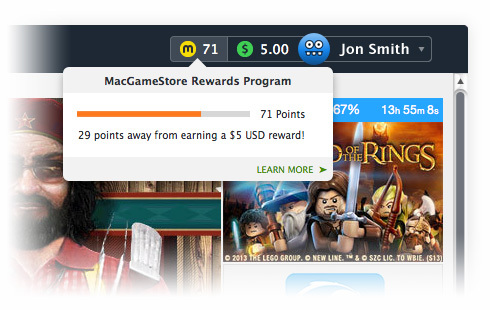 * Must have installed the MacGameStore OS X App first. 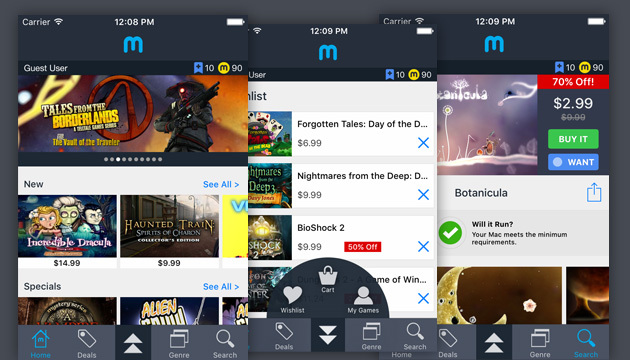 Add games to your wishlist with ease, stay notified of sales, track games you are interested in. 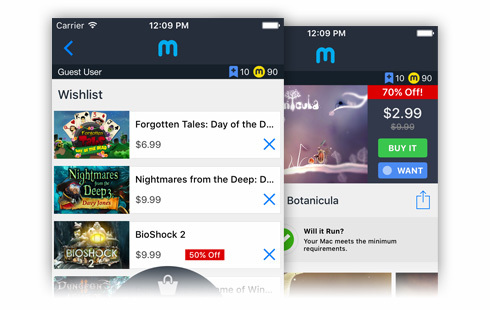 With quick and secure purchases using the iOS App, you will never miss out on a great deal!